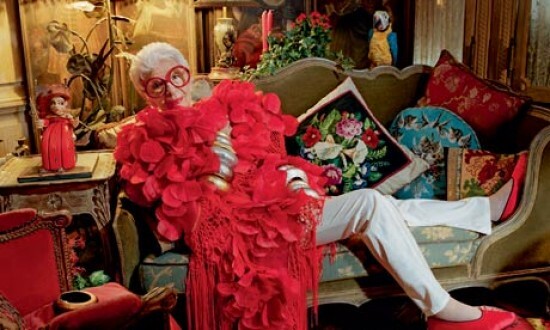 But at 91, you won’t find Apfel twiddling her thumbs at home. 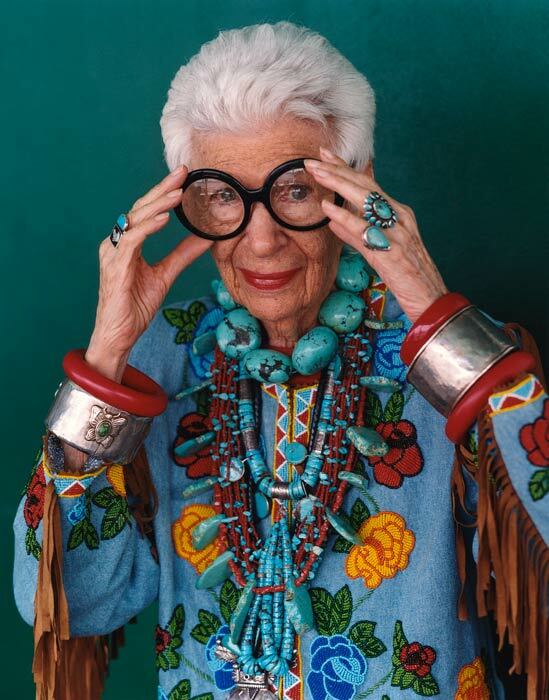 She is too busy designing jewelry, lipsticks, eyeglasses and whatever the hell else self-professed “geriatric starlets” do. Seeing her reminds me why I’m so passionate about art. All of life is affected and inspired by it. 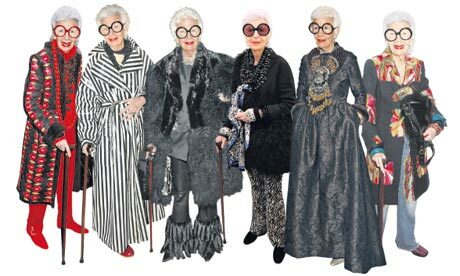 With style that is often theatrical at the least, Apfel says you’ll rarely see her in a dress. Exaggerated baubles, exotic boas and minks; you name it, she has worn it. 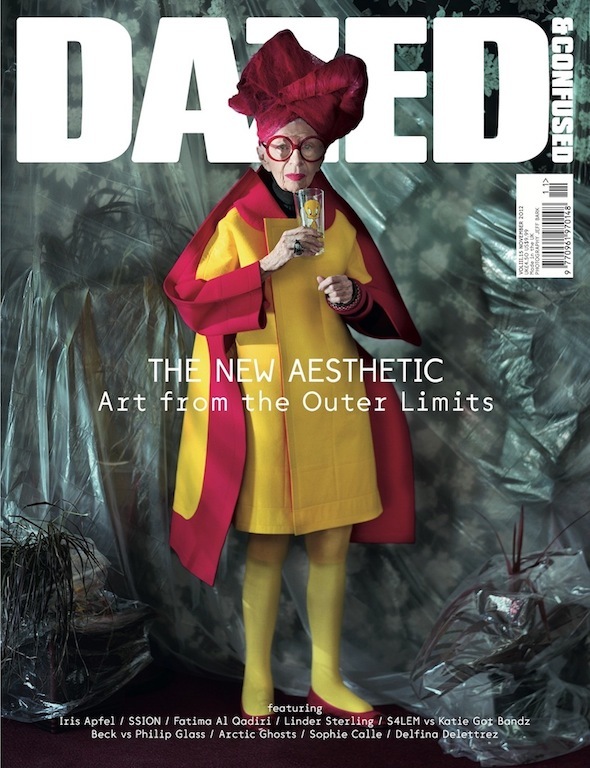 Her style, seemingly erratic, has proven to be just what designers seek for inspiration. 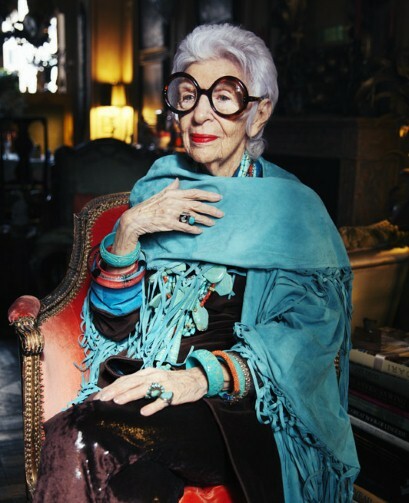 When I read interviews from people like Iris Apfel, it only confirms what I already know. Style is something money cannot buy. Much like class. You either have it, or you don’t. 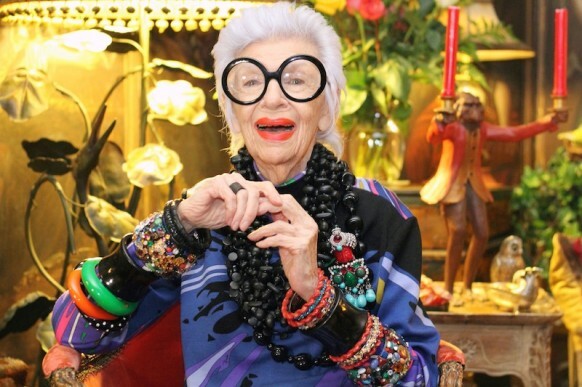 “To all the ladies in the place with style and grace…” Here here, Iris. She is the quintessential embodiment of beauty. Random: In true New Yorker fashion, she isn’t one to hold her tongue. This is probably one of the funniest quotes I’ve ever read. This entry was posted in Fashion and tagged celebrities, fashion, style. Bookmark the permalink.